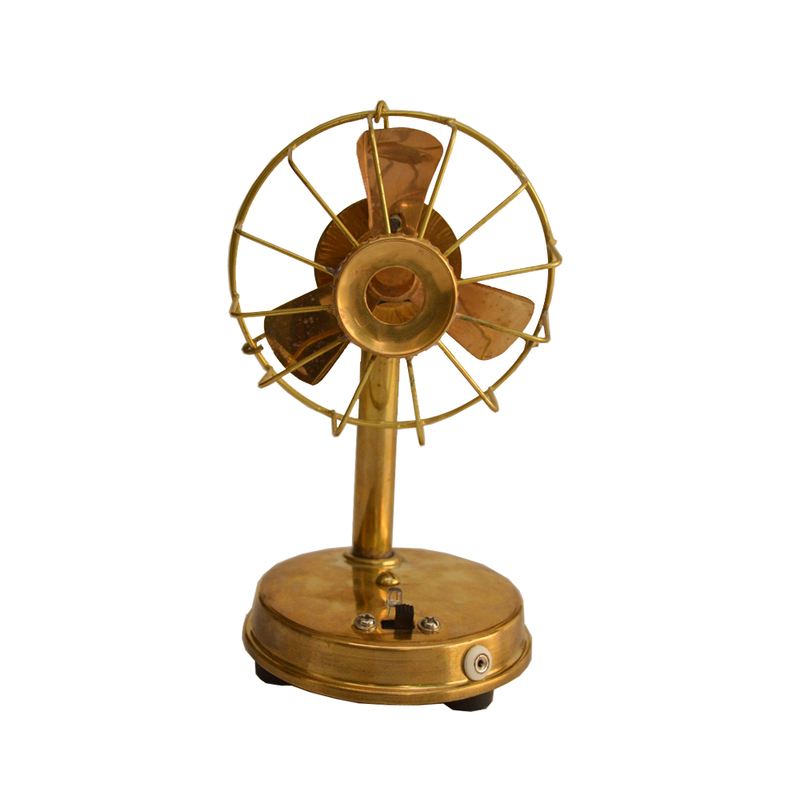 This Handcrafted Decorative Antique Brass Fan runs on battery, this means that it is ideal for buyers looking for a refreshing flow of air while Read More..not compromising with the aesthetics. The brass body features fine finish, which makes it suitable for the most sophisticated of surroundings, while being battery operated makes it highly portable. Moreover, the warm hue of the brass body combined well with its handcrafted design to make it suitable for buyers of such unique items to enhance their home décor. Show Less..